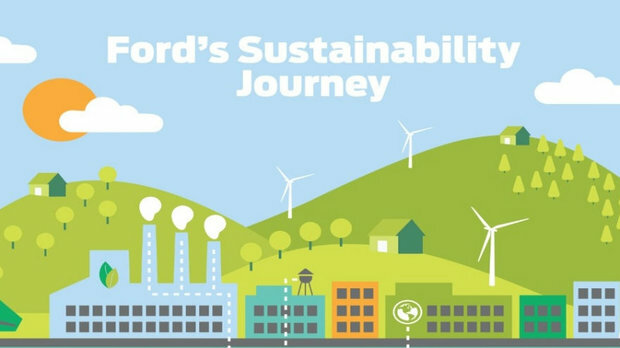 When it comes to using “green” manufacturing processes, Ford is far ahead of the rest of the automotive industry. For some years now, Ford has been using plant-based materials in its manufacturing process, materials that are biodegradable. Since 2011, all Ford vehicles built in North America have soy foam in their seat cushions and backs. This saves an estimated 2.3 million kilograms of petroleum per year. In addition, 85 per cent of headrests produced in North America and the headliner on the Ford Escape use soy foam. In 2014, Ford launched an industry-first application of cellulose-reinforced plastic in the Lincoln MKX. This material is being used to replace fibreglass reinforcement in the centre console. The cellulose fibres in this composite come from sustainably grown and harvested trees and related byproducts. The material reduces weight by approximately 6 per cent. It also has a smaller carbon footprint than the glass-fibre-reinforced plastic it replaces, in part because it takes less time and energy to mold cellulose- reinforced parts than traditional glass-fibre-reinforced plastics. Also in 2014, Ford introduced a new composite plastic material reinforced with rice hulls (by-product of rice grains) in the wire harness of the Ford F-150. As well, wheat straw-reinforced plastic is used in the storage bins of the Ford Flex and Coconut coir, made from coconut husks, is used in the trunk mats of some vehicles. Currently, notes Vickar Ford sales rep Henry Clyke, Ford is working to reduce the amount of water it uses in its manufacturing processes. By 2020, Ford plans to further reduce water usage in vehicle manufacturing. By that time, per-vehicle water usage to have declined 72 percent, when compared to 2000. Ford has already saved 10 billion gallons of water from 2000 to 2015 – a 61-percent decrease; the company aims to save an additional 30 percent between 2015 and 2020. Ford’s long term goal is to completely eliminate the use of drinkable water in its manufacturing processes. To implement this goal, the manufacturer is using new technologies such as its 3-wet paint process and minimum quantity lubrication – saving hundreds of thousands of gallons of water per year. It will continue to roll out further water savings using innovative technologies to aggressively manage water use. 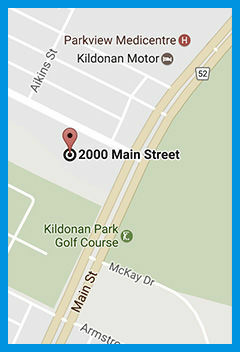 The company also conducts ongoing water assessments to determine where new water-saving processes can be implemented. Ford is one of eight companies to earn an “A” rating for its actions to conserve water by CDP, the world’s only global environmental disclosure agency. Ford is the only North American company to earn the agency’s highest honor for corporate water stewardship. 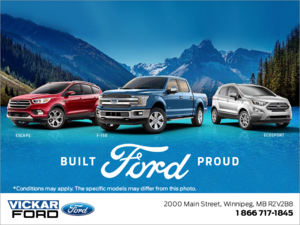 To learn more about Ford products, drop into Vickar Ford at 2000 Main Street (just north of Kildonan Park) or phone 204 339-2000 (vickarford.ca).